My daughter's Bundles of Joy box arrived and I couldn't wait to show you all what she received. I love the customization on this box. When I open it up, I feel like it is a gift that is perfect for my daughter. And there is always a list of what is included with prices, so you can see you're getting a deal. My favorite part is the handwritten note explaining why items were chosen and the theme of the box. The presentation of this box is beautiful too, making it a great idea for gifts! And I knew when I tore open the tissue paper, my daughter would love everything! It was perfect for her! You fill out a questionnaire to explain sizes and likes and dislikes when you subscribe. And Bundles of Joy does an amazing job of getting it just right. Our box had a summer theme and included some of my daughter's favorite characters! Here is everything that was included. I was very pleased with everything I was seeing, but I knew what my daughter's favorite thing would be right away. 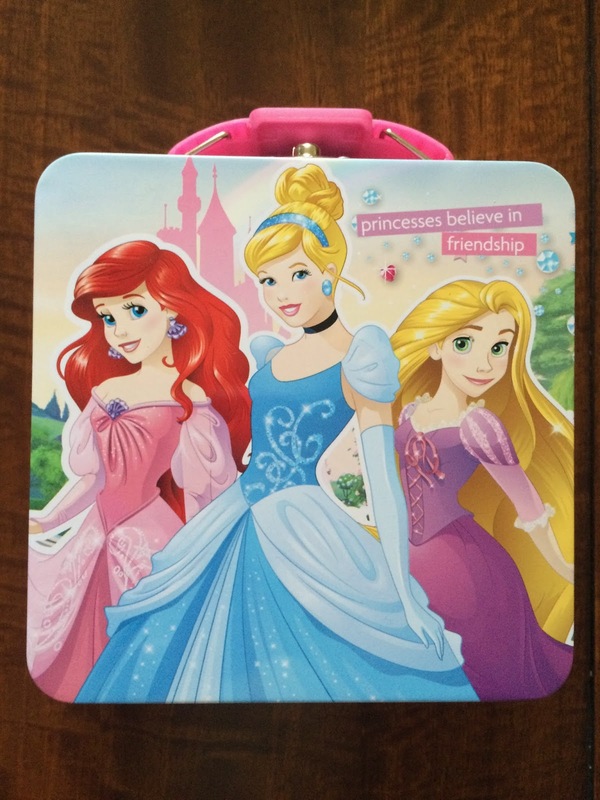 She grabbed for the Princess Tin. She loves carrying anything around that she can hide surprises in, so this is totally her. Plus she loves Disney Princesses! And this is the perfect size for her, big enough to fit lots of stuff, but still small enough for her to carry. 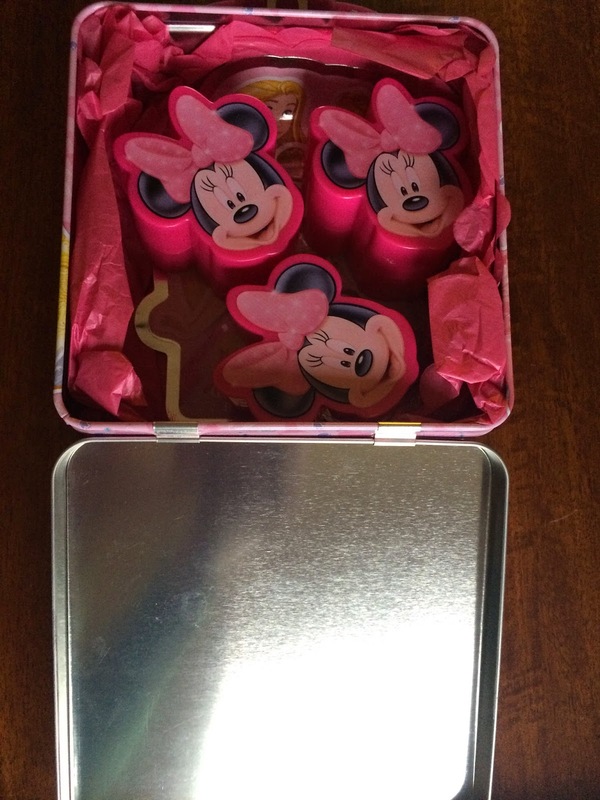 And when my daughter opened up the tin, she found all sorts of hidden treasures! I did not expect to find surprises inside, but I loved what I was seeing. 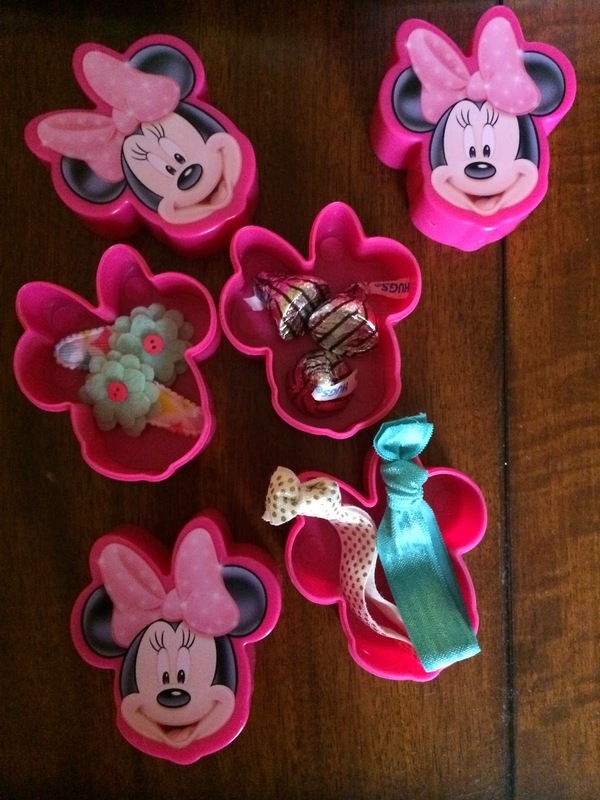 My daughter loves Minnie Mouse, so she thought the little containers were great! And then she opened them up and there were more surprises. How fun?!? I love this and how did Bundles of Joy know that my daughter loves to open up containers and find little gifts. In fact, she's quite addicted to watching surprise egg videos on you tube, haha. This was completely perfect! And inside she found chocolate kisses, hair barrettes, and hair ties. I love them all! And they all stayed with the color theme of the box and would go with the outfit that was included perfectly! 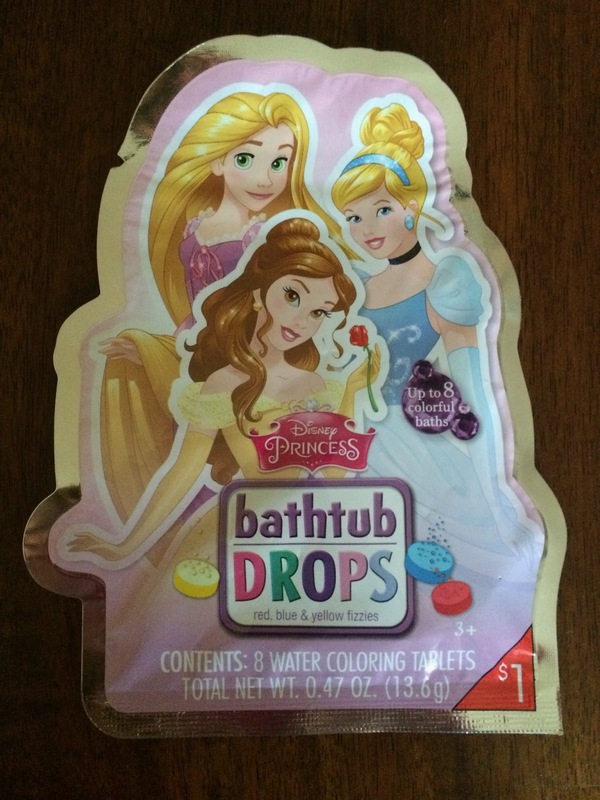 Also, in the tin were these fun bathtub drops! She will be taking a bath tonight to try these out and she's so excited about it!!! 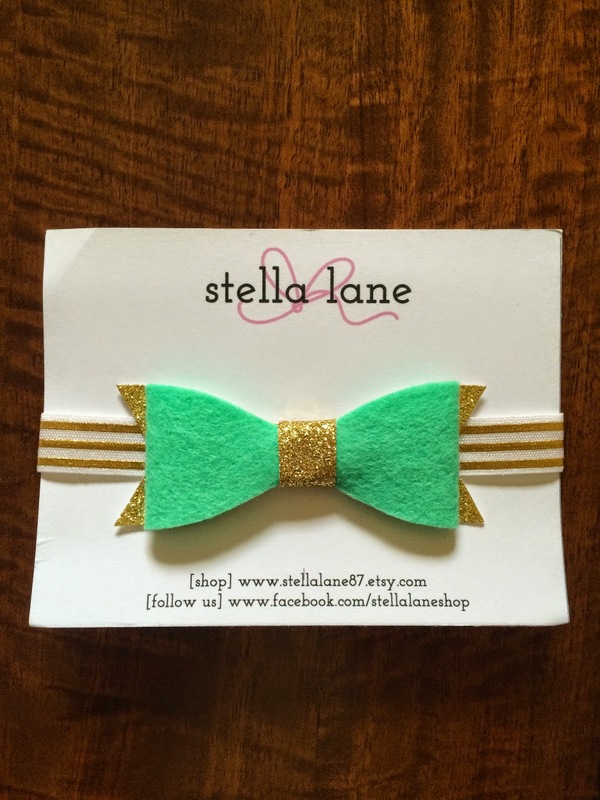 How adorable is this headband?!? I love it!!! It's so cute and will go perfect with the outfit. It will also be cute with other dresses she owns, in case she really wants to feel like a princess! 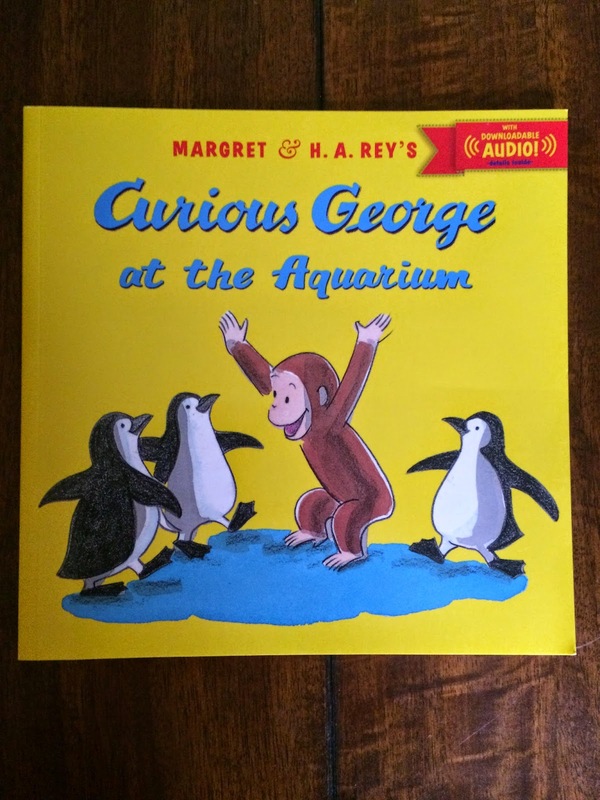 We also received the book Curious George at the Aquarium. My daughter loves books, so this was a hit. We don't have this one yet, and it's a cute story! I love this t-shirt! The saying is so true. 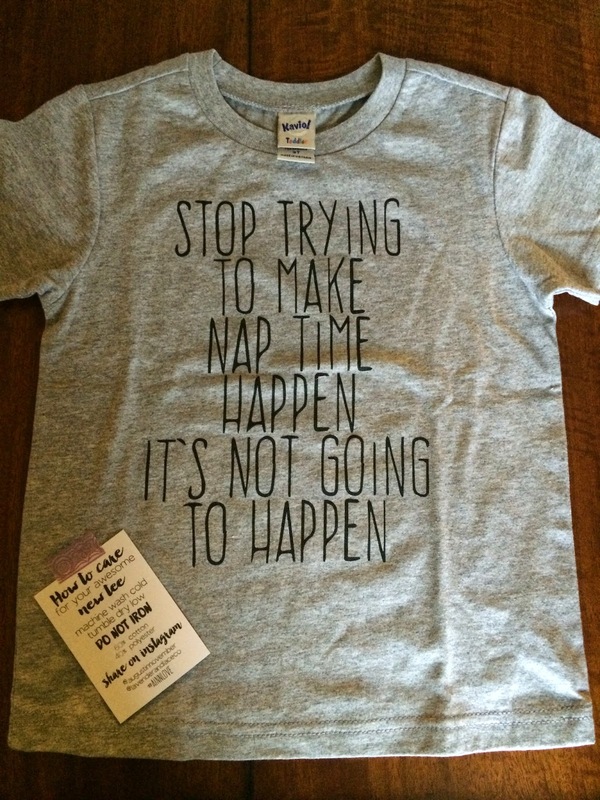 We struggle every day to get our daughter to nap. And I know the daycare we use is going to love when she shows up wearing this shirt. It's perfect! 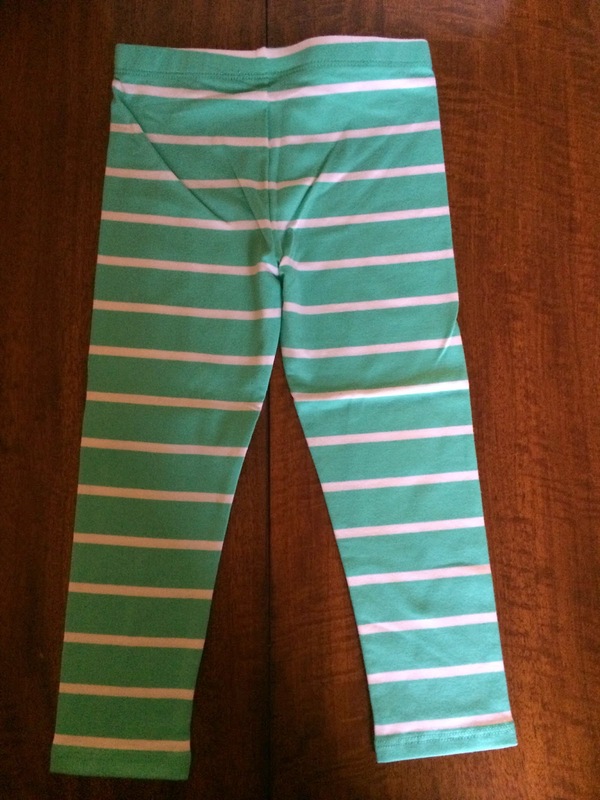 The final item included was these leggings that will be cute with the t-shirt. She loves to wear comfy clothes, so these are perfect for her! And I love the cute, summery color!!! 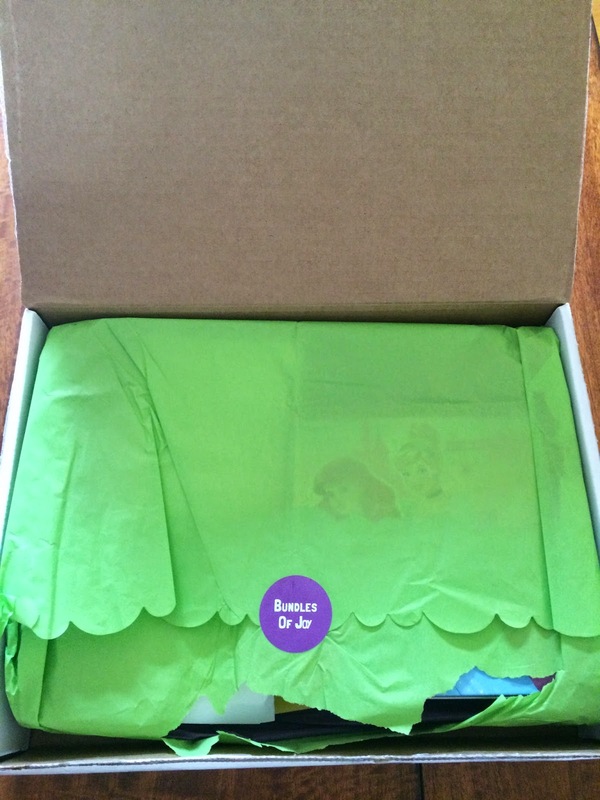 This Bundles of Joy box was amazing! It had a value of $50.74, which is a lot higher than the cost. 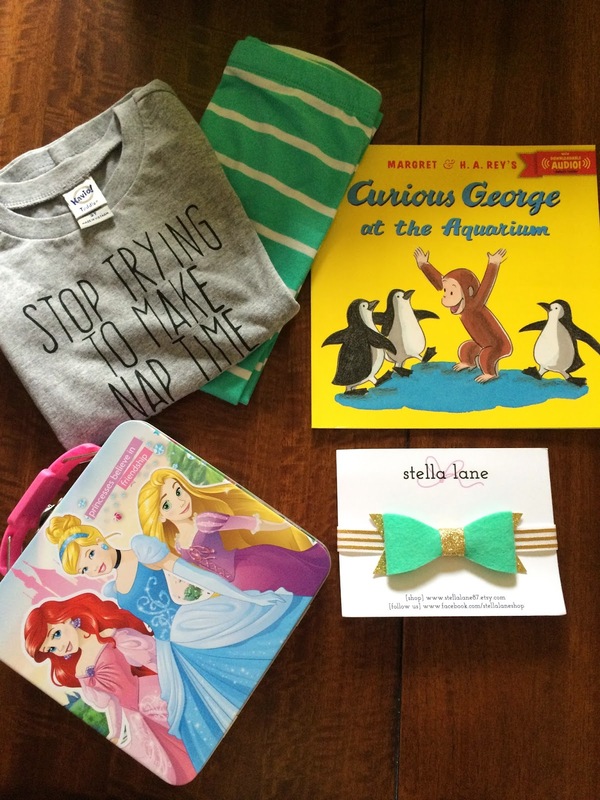 I love everything and it fits my daughter's personality perfectly. I can't wait to see what we get for May. I also think this would make the perfect gift for a baby shower or a little's birthday, especially if you're not sure what to buy them. Bundles of Joy does a great job of compiling a box that's perfect for age newborn through 5 years. And you'll get unique items that you can't find in stores!